Holocaust readers and compilations can be precious tools in the struggle to enlighten the world about the twelve-year genocide. The key is make them cohesive, accessible, and sized correctly. Several excellent volumes come to mind. A Holocaust Reader--Responses to the Nazi Extermination, by Michael L. Morgan, published by Oxford in the year 2000, included penetrating essays by Elie Wiesel, Hanna Arendt, Martin Buber, and others. The compilation by Rita Steinhardt Botwinick, Holocaust Reader: From Ideologies to Annihilation, has for years been well received. Lately, much shorter compilations have also been useful. My own anthology, Nazi Nexus, offers five brief essays from several of my other books such as IBM and the Holocaust. Pearson's Death by Design is another collection, containing essays from such respected writers as Robert Proctor, Robert Lifton, and the single most respected expert on IG Farben, Joseph Borkin. This brings us to the University of Nebraska Press compilation How Was It Possible? edited by Peter Hayes. The University of Nebraska is known for outstanding volumes in Judaica and Holocaust studies. Unfortunately, this edition is a big disappointment. It clocks in at 920 pages, a four-pound oversized volume--that is almost triple the size of better volumes published by Pearson and Oxford. In a word, this compilation by Hayes struck me as over-compiled. First, in my opinion, another editor would have brought a different nameplate to the project. Anyone can check the earlier effort by Hayes, Industry and Ideology, and the reader comments on Amazon. I can think of 10 leading personalities in Holocaust studies I would have preferred to shepherd such a project. Certainly, How was It Possible? contains several very important essays and extracts, such as Michael Burleigh's and Wolfgang Wipperman's "The Racial State," Robert Wistrich's "The Longest Hatred," and "Saving Jewish Children" by Bob Moore. I have worked with the latter two historians and can attest to their expertise. These historians stand and shine by themselves. That makes me ask, why was it necessary for Hayes to add his own section-by-section Introduction? I found those introductions by Hayes an unneeded entry and a distracting element to those valuable essays which sufficed all by themselves. Certainly, Hayes's material added postal weight, but I did not feel they expanded the reader's understanding. I asked myself, why were they necessary? 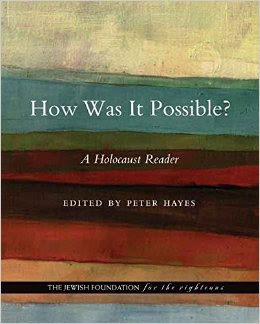 What's more, beyond just answering the title page question, the compilation goes far afield including essays of post-war activity that do not do not answer the painful question: "How was it possible? "� These extras seem to just pad a book already many hundreds of pages thick, double and triple the size of other effective entrants to this field. For example, an essay on reparation and restitution litigation is included from the short book Some Measure of Justice by Michael Marrus. Known as an astute historian for his dissection of wartime activities, Marrus disappointed me in this attempt to delve into post-war restitution and litigation issues, an attempt which involved too much reliance upon this-century media reports. Hence, How Was It Possible? makes us ask another question. How was it possible that a compilation of this excess bulk was so over-compiled and then published by as credible a house as University of Nebraska Press? This enterprise would have been more effective had it been broken into a series of four volumes dealing with pre-war issues, wartime matters, and post-war developments, utilizing four separate editors, each with a known expertise for the topics. I am hoping next time this distinguished publisher will do so. Edwin Black is the award-winning, New York Times bestselling author of IBM and the Holocaust and ten other prize-winning titles. 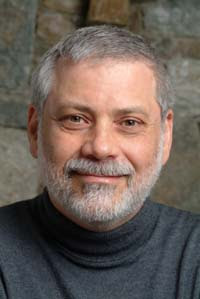 He has contributed to numerous anthologies involving Holocaust topics. Black annually presents scores of lectures to universities and other venues. He can be reached at www.edwinblack.com.